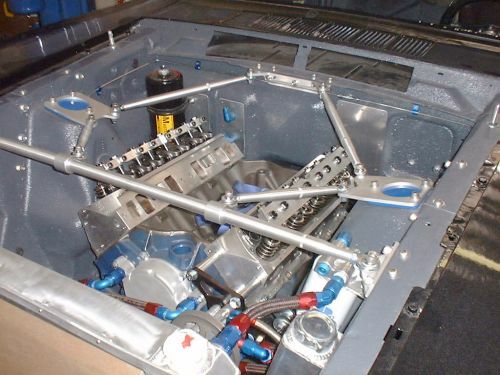 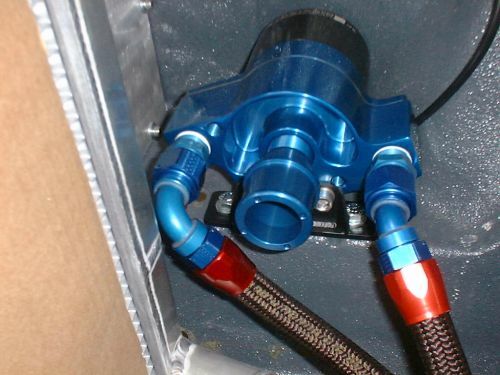 Master Lube's pressurized pre-lubrication system was the perfect addition to our engine compartment. 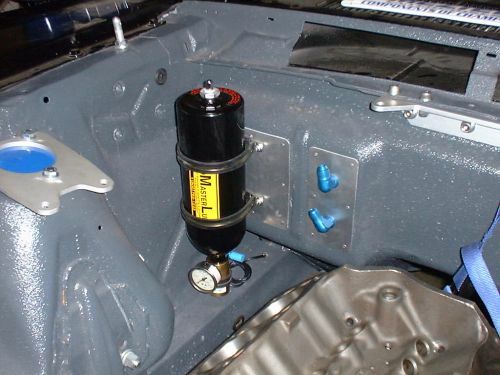 The firewall mounted canister holds oil and retains pressure with the use of a valve. 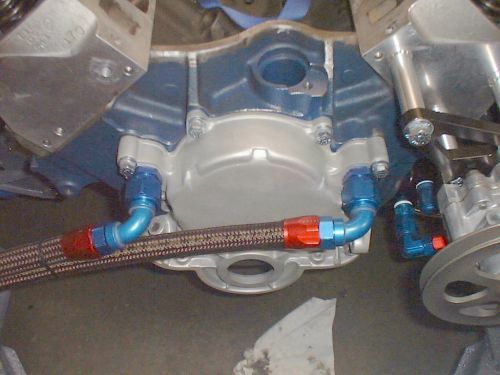 Prior to starting the engine the valve is opened oil is pumped to the top of the engine preventing "dry" starts. 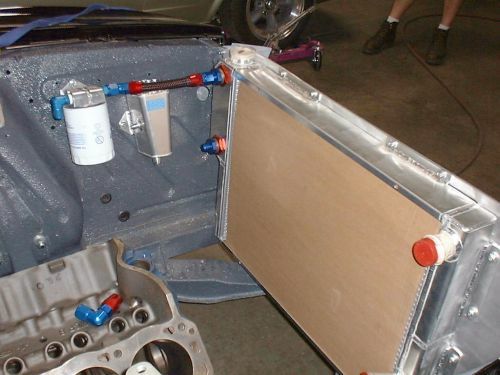 C & R Racing's Winston Cup Radiator combines the oil/water heat-exchanger with the radiator core. 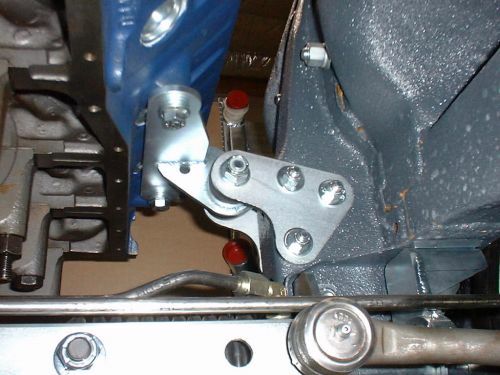 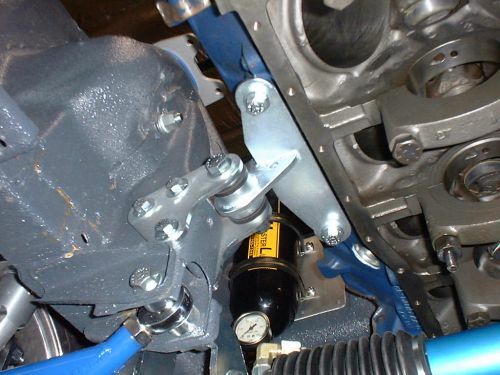 This eliminates one more component to mount in our engine compartment.